A team from The Blood-Horse was recently in Kentucky filming a feature about Zenyatta that will run as a Breeders’ Cup longform at Bloodhorse.com. The piece will tell the story of Zenyatta’s career and connections, her charisma, and the fan following she maintains to this day. The Bloodhorse team went to Lane’s End to collect video footage to include in this special online feature and visited with Ziconic as well as 14Z. Meanwhile, their photographer in New York collected images of Cozmic One in training with John Shirreffs, which will also be included in the piece. Here you can see a few photos of the team in action. Pictured above right is Multimedia Producer Scott Tracy and Online Features Editor Claire Novak in the paddock with Z Princess. Take a look at some of the behind-the-scenes footage below. This piece is set to run on October 27, and we’ll remind everyone when it is released. We can’t wait to see it! You can check out another recent longform feature they did on Arlington’s Richard Duchossois and the upcoming Arlington Million here. Take care Terry. We miss you. We’ll be here when you are ready to return. Great races. So disappointed for Ebby and Game on Dude, though. Happy for Mike and Shared Belief. Can’t wait for Breeders Cup. It does seem as if the summer is flying by. The kids here are already back in school. Hope Zenyatta is happy and well. Too hot for Cotton to go outside. I don’t want her ears getting sunburned again. She refuses to talk to me or look at me. Spoiled cat. Fun to see Zenyatta and her family – all are very beaiutiful. Anxious to see the article about Zenyatta – keep us posted on when it will be released. Thank you so much! Dear Debbie.I will always remember that Tuesday on the Dyfi,I was watching the battle on live stream.Glesni had tried for the 2nd time to regain her nest on the sunday,the girls left the dyfi and Monty was just twiddling his talons.When Blue returned on the Monday afternoon even the volunteers at the dyfi thought she had won but Glesni never gave up and came back not long after lunch on the Tuesday.She’s an amazing bird.I do hope she will return earlier next year or I can see it all happening again. Sheena. Might help to give you the link to BB so that you can see it. Kauto tweeted the photo. Neigh! Just when you thought Mike Smith’s life couldn’t get any better, it has. Fresh off his 4-win day Sunday at Del Mar, including two stakes races, including the G1 Pacific Classic, jockey Mike Smith has been named to replace, Gary Stevens, aboard Eclipse Award winner, Beholder. The veteran jockey was aboard the champion mare this morning at Del Mar when she worked 7-furlongs in 1:24. She started the work five back of her workmate and was a length ahead at the finish. Afterward, trainer Richard Mandella, who lost his champion filly’s regular rider when… Stevens underwent knee replacement surgery, confirmed the switch to Smith. Stevens is not expected back until after the first of the year, if at all. Thanks for this link! I don’t like the sound of the “. . . if at all.” regarding Gary Stevens. I hope that is just a worst case scenario example. Good Luck Gary and Mike, too! I agree with you entirely. Either way, we get to see him and learn from his vast experience. If he wants to continue racing, hope he heals quickly and completely. I’m off to OBS in the morning. So hoping to see Leroidisanimaux/Big Gem’s young colt. Oh Gosh, I know i’m going to fall in love with him too. Hope I get to visit with him for a good while. He will go to the ring Wednesday morning, If they don’t pull him from the sale. He’s in about barn l4, but I told Judy I’ll find him if he’s there. So looking forward to seeing him. I missed his sister before she left the country. So praying he stays stateside. Closer to home. Oh yes!! Zenyatta would be just perfect here like SubZero there!! Great story. Thanks for this wonderful link! I got tears, too! What a beautiful soul! I had not heard of him either, but I shall not forget him now. Subzero, you rock, AND you are gorgeous, too. Sheena. Check out Big Bucks. Looking good. Great set of ears. Moosie is busy charming the ladies by following them on twitter. Hope that he’s paying attention to Glesni. Neigh! Free the Moose! The Moose is wild and free! Beast, you’re the same, but keep training. Sheena. Forgive all of these posts but there are messages above for you about Big Bucks. I’m off my leash! Neigh! Dear Max.Yes,I saw Buck’s he looks wonderful and Paul took the ice-bucket challenge! !I read that Wise Dan may be back this sunday!Yay.I was very pleased with Toast’s run last night so was Jamie.Winner was superb.Oh, Moosie had better pay attention to Glesni,has he seen her talons! !The Moose must be free!Niss4Senate.Sheena. Sheena. Yes, Toast did much better than in the Belmont Derby. So far I have not seen any criticism of it in the English press. I like that horse called Ice Cream Truck. Sorry to hear that you are tired. Have a good rest. Free the Moose! Unleash the Beast! Wild and free. Yup. I’m pretty much not driving anywhere. Cops and Helicopters everywhere plus, many streets are closed off. I hope that the Gallery I worked at Downtown is ok.
Glad you are all okay! Please stay safe. Hope any aftershocks are mild. Dear Max.Sorry I’ve been getting ready for bed I had an extremely late night waiting for the Classic result about 2am over here!Goodnight and God bless.Sheena. Dear Heidi.Very sad.I am thinking of you all.God bless and take care.Hugs Sheena. Oops. Sorry, that should be “Maiden”. Wow, Judy B.! He is beautiful for sure! Wow!! 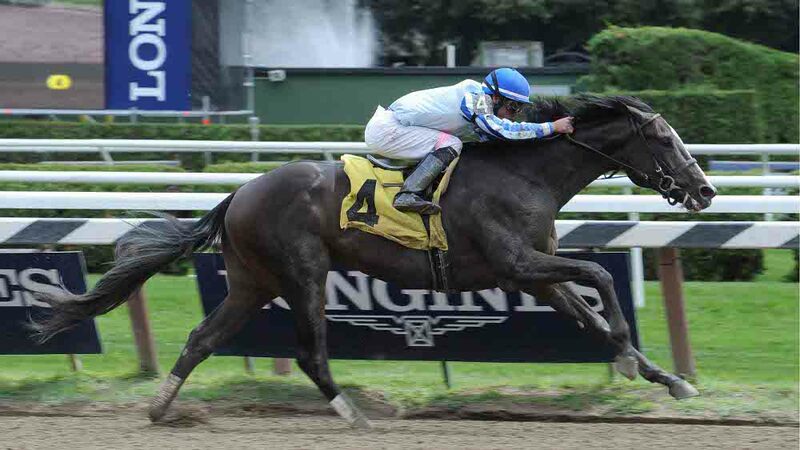 Upstart is impressive, but his jockey did use the whip a lot that I could see. Wow! Upstart is sooo impressive! And only nine days apart! Why would they race him so soon? He is only two. Thanks, Judy. I kinda thought that was the deal. He was full of himself during and after the first race. Jockey and horse both had to work a little more in the second race. Maybe he will be a little more ready for a break now. But what a horse he is! I am very excited about him! He may be someone our Coz will come up against soon. Exciting! I guess I got my perspective on racing horses by following Zenyatta’s life. Wait until sure the horse is ready and that includes all bones, tendons, etc. is ready to go. I will be watching Upstart! Thanks, Judy, for bringing him to our attention. Throw in The Beast and Jess’s Dream and things really get exciting! Oregon court has moved in right direction to give more legal rights to horses and other animals. Yes, I totally agree! It certainly is a long time coming — happy that common sense and common decency prevailed there. Dear Zenyatta; After my horse chores tomorrow I will be heading to Up North Wi. as that is where my husband wants to go and Hey it is nice up there. I will miss you Z ! Hello Zsters; Turns out my new daughter-in-law’s mom from Peru loves horses and so we went out to the CV Sanctuary. They loved it. Also stopped at the Western Equestrian Center so they could get out and see numerous beautiful younger horses in the nearby pastures. It was the first time they also saw the mini horse. There were three there.. Pictures were taken of mom and horses there and at CV and they really liked the time spent. Talked about Sir and how he brought so much life to the barn as Gianina, my daughter in law, was the translator. They leave to go back home at the end of this week when we are gone up North. Very nice people!! @Sally B. Have a wonderful time and come back safely to us. @Heidi K. –stay strong. Things will be better. Do you have any news on the rumour Downunder that Estimate will be coming down for the Melbourne Cup? The chatter is that if she comes, she may stay for a date with Carlton House. All very interesting! It is comforting to know that every day we are in contact with people who put such confidence in us that we strive harder to do our best. These are the ones that build people and there’s no job more fragile or creative than giving others confidence. No two people ever respond the same way, and since there can be very little trial and error in handling individuals, sensitivity to hurt and fear must be considered. Where one person can be challenged, another may need to be told how to rise above emotions and imagined short-comings. The Cherokee, like so many others, appears u wo we la nv, composed or stoic, but his nature is sensitive to criticism in any form. We all need approval and attention, and when someone cares, it makes an important difference. That hand is not the color of your hand, but if I pierce it I shall feel pain. The blood that will follow from mine will be the same color as yours. The Great Spirit made us both. Feels so good in the morning to come here and see the Queen and the Princess in all their beauty. Their peaceful photos are a wonderful start to my mornings. Also, love reading about what is going on with everyone and all the news about the horses. Dear Kathy.Very wise words from Standing Bear!.Beautiful pic of Joey on his page today and his feather video!Happy National Dog day to you and the pups! !I saw your message to Zoe,she was so cute yesterday and looked to have had a great day.She spreads happiness wherever she goes.If you go on Lily’s bucket list there’s a lovely video called “God made a dog!She’s having good and bad days.Fubu is doing quite well this week I loved that cute little kitten Beatrice I think she was called. Mango doesn’t seem to be home yet hope the journey to Indiana went well. Miiko and Fletcher were getting on a little better and it was so good to see Russell the badly-burned cat enjoying his game.We could all learn so much from animals and how they cope with adversity.All is well at the Dyfi both youngsters fed!Enjoy your day.Hugs to you,Kisses for Holly Nikko and Sugar.Sheena. Loved the expression on Joey’s face in that picture. He’s so handsome! Got a good chuckle from the feather video. He’s FAST! Thank you on behalf of my pups for your National Dog Day wishes. I’m a real Zoe fan. She’s very charismatic and vivacious. The “God Made a Dog” video is a real tear-jerker. We are so blessed by their presence on this earth. Glad to see that Fubu is doing as well as he is. I agree, Beatrice is a beautiful little kitten. Will keep checking for Mango to be back home. Still have to check on Miiko and Fletcher as well as Russell. Glad everything is okay at the Dyfi. Just a head’s up…We leave for a week on Sunday. I will of course post the Devotionals before I go. Have a great day. Hugs from me, kisses from Holly, Nikko and Sugar. Kathy. Once again madly trying to catch up somewhat remotely. Am in western NY with a friend for a few days. We had a great visit with our Canadian dumpling friend, Brenda from Ft. Erie, who joined us for a couple of days. She is in the midst of a lengthy recovery process following ankle fusion surgery so it was super that she was able to get here. We chatted with Debbie G via Face Time – great fun. I was thrilled with Goldencents and Shared Belief over the weekend (Tonalist didn’t quite make my wager). Lots of us on the cappin’ team were in the money this week so congrats to all, but especially to Judy B for her very shrewd and successful wager on Imperative. Terry – glad to hear from you and hope you can join us soon. Miss you on all counts. Peggy N – hope you get to see your horse at the sale. Sounds like fun all around, Sandy! Thanks for letting us know what you’re up to with everybody. And congrats, Judy, on your handicapping! @Sandy–thanks for checking in. Hope you gave Brenda our love. Glad to know all is going well. Thanks for these posts — these photos are simply smashing! Dan is one outstandingly magnificent horse, just gorgeous. What a chestnut! JudyB. I saw that first photo, but not the others. Dan looks fabulous. King of the Chestnuts. Thanks for the post. Free the Moose. Beast, keep working. I will miss him, too, Judy! Those are BIG shoes to fill, and it will take awhile to make them fit. The good news is that Larry Collmus, who will be replacing Tom Durkin for the N Y Racing Association, sounds a lot like TD when he he began calling races in NY. LC is the race caller at Churchill Downs and called this year’s Kentucky Derby. Here’s a cute and funny call he made at Monmouth when he was the race caller there. I am so happy to see a video of Zenyatta and her daughter. I am the happiest person in the world right now. P.S. Want to see more videos of them. probably never happen but I can dream about it. As always thank you for sharing with us your beautifull family. I cant wait to be a zenyattas children groupie at the races. 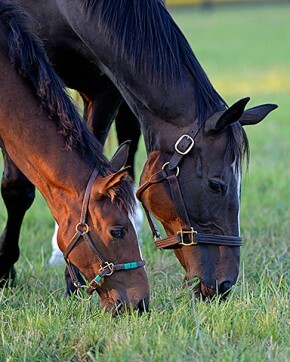 I can never see enough photos/videos of Zenyatta and her kids.